Group email digest are too burdensome. If you’re a member of 10+ groups. Most groups have few active or new discussions. Which means old posts are repeated for several days in group digest emails. A lot of discussions are actually marketing promotions or jobs. So lots of popular groups have spam issues. So what value/challenges do you see in LinkedIn groups? How do you solve these challenges today? Originally posted by Jasmeet Singh. via Value of LinkedIn Groups — Writers on Writing — Medium. You’re an employer and you’re hiring. You pay LinkedIn $3,950 for 10 job postings to help you find the best, most qualified hires. When LinkedIn delivers job applicants, do you care that those at the very top of the list paid LinkedIn for their positioning — while possibly better, more qualified candidates who didn’t pay are pushed to the bottom? Do you care that you can’t even turn this “feature” off? Whether you’re the job applicant or the employer, you’d probably feel cheated. Imagine LinkedIn was a headhunter who charged the employer to fill a job, but also took money from an applicant to submit her resume first. That’s called double-dipping. Welcome to the “job board” model for recruitment advertising, where the middle man charges everyone and manipulates the database, and where matching qualifications to job requirements is way down on the list of concerns, right beside those poor “basic users” who didn’t pay to play. 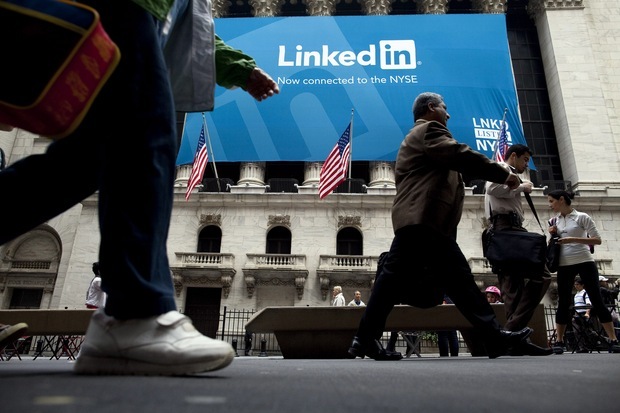 via Ask The Headhunter: Is LinkedIn Cheating Employers and Job Seekers Alike? | Making Sen$e | PBS NewsHour.